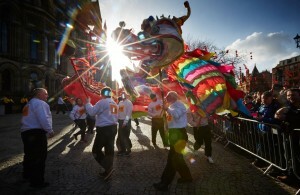 Hi,Welcome to the Manchester ( ENGLAND) Chu Gar Hung Kuen Kung Fu, Lion Dance & Dragon Dance Website. 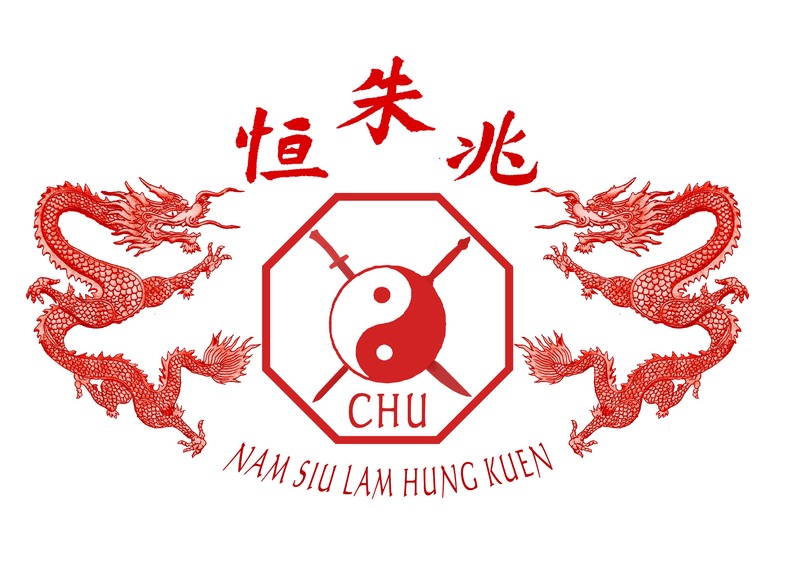 This site is dedicated to Southern Shaolin Kung fu and in particular to the style known as “Chu Gar Hung Kuen” which is one of many branches of Hung Gar Kung Fu. 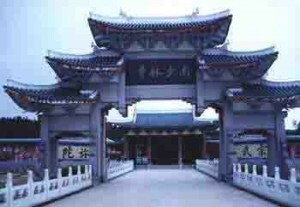 All Hung Gar Kung Fu is reputed to belong to an original system of Shaolin Kung Fu(Martial arts)from the Fukien Shaolin Temple in Southern China.Below is a picture of the present day Southern Shaolin temple although some historians disagree that this has been located on the original site. Within the style there are many boxing forms and forms applied using (Kung Fu) Chinese Martial Arts Weapons ranging from the pole to the flying plummet, chain whips, benches, spears and many more Shaolin weapons. Demonstrated below is the “Red Tassel Spear” or “Hung Ying Cheong”. A lot of these Kung Fu weapons were practiced by the Shaolin Monks even though they were by nature peaceful Buddhist Monks. 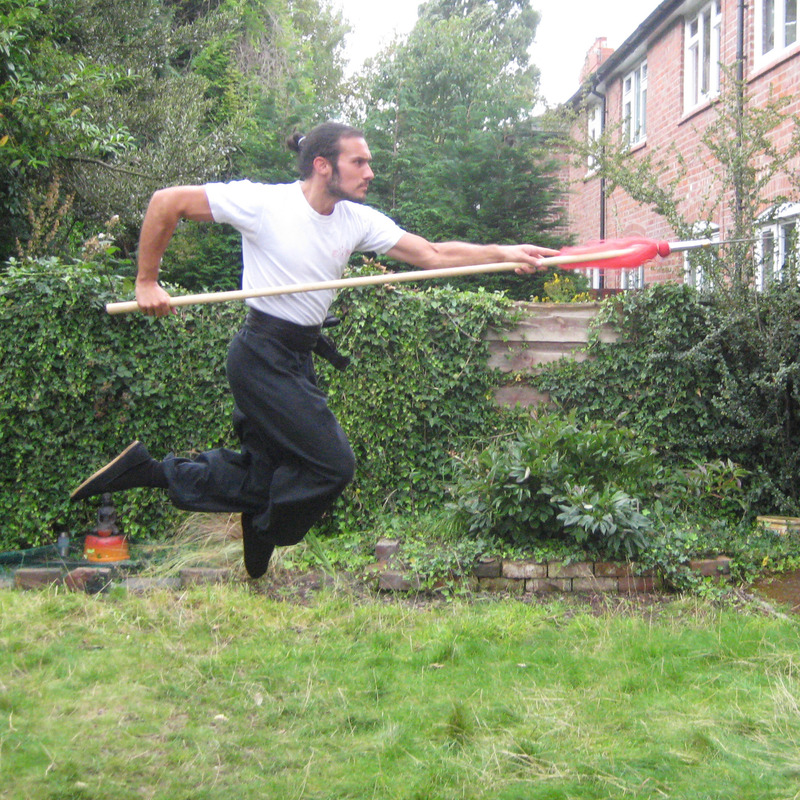 Practice of these weapons improved balance, strength, speed and hand-eye co-ordination. “Kung Fu” literally refers to the amount of effort expended to achieve a skill or goal so practicing in this way leads to a more skilful student. 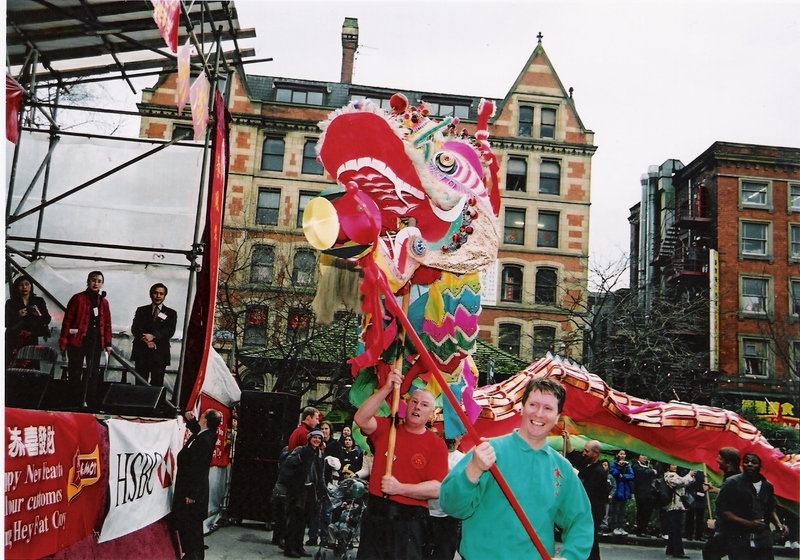 The school also teaches Hei Gung (Chi Kung or Qigong) for health and longevity.Pictured below is Peter Farrell, Co-author of the book “Understanding Chi Kung” available as an E-Book on Kindle or as a Print on demand book from Amazon. Peter is demonstrating basic postures to align the body and normalise breathing etc. The type of Hei Gung taught was developed from Grandmaster Chu’s experience as a former Lama Monk and also from his teacher Go Lo Tin a former Shaolin Monk who took the young Chu Shiu Woon in as an orphan in Toisan. Master Chu and his senior student’s demonstrations of Hei Gung are well documented in the local press, as are the team’s Lion Dances and also the famous Dragon Dance which are performed regularly for festivities and as an annual feature in Manchester’s Chinatown New Year Festivities. The site is completed but will always be subject to change. Feel free to browse the site and make comments or ask questions. Thank you for visiting us. If you need any information please don’t hesitate to contact me by filling in your details on the contact page form. If you are happy with the site content, please like us on each individual page via the social media buttons.